Located in northwest Beijing, Zhongguancun is often referred to as China's very own Silicon Valley. However, the current reputation of this neighborhood as a hub of advanced Chinese technology contrasts sharply with its traditional image. Only a few years ago, this area was one of the city's largest wholesale markets for electronic products. 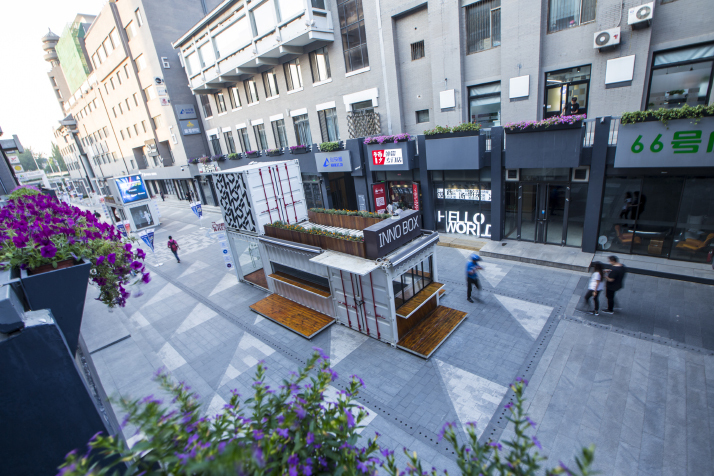 The way Zhongguancun has been able to transition toward innovation by attracting startups continues to surprise visitors, Chinese and foreign alike. Indeed, Zhongguancun used to be a congested place, with thousands of distributors and small electronics merchants. Buyers had to elbow their way through the crowds to find the item they needed, and then negotiate the price over the hustle and bustle of the market. 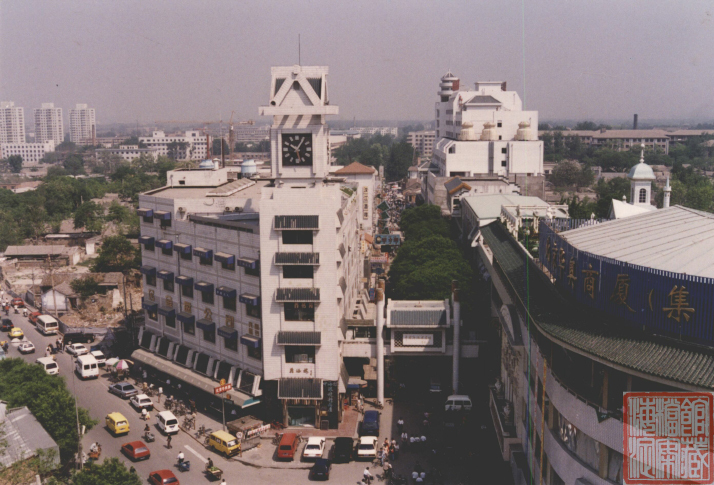 Around the year 2000, the neighborhood saw some 30,000 to 40,000 visitors each day, but despite its overwhelming popularity, Zhongguancun did not enjoy a good reputation. Counterfeit products sold in the market undermined consumer confidence. The rise of e-commerce giants, such as JD.com and Alibaba Group's Taobao, sounded the death knells for these old-style wholesale markets, and Zhongguancun quickly fell victim to inertia. To remedy the situation, the local government in Beijing's Haidian District took the decision to overhaul west Zhongguancun in July 2009. Turning its back on wholesale electronic products, the area was instead to transition toward innovation-based activities, said the district authorities. The new policy was quick to show results, and by 2016 almost all the electronics markets in the neighborhood had closed down. At the same time, a wave of significant changes swept across west Zhongguancun. The area contains two large buildings which housed nearly 200 bookstores at the time. However, these also suffered from the rise of online sales. It was here that in 2013, Beijing decided to establish an area of business incubation to attract and foster high-end startup companies with a focus on innovation. A year later, on June 12, 2014, the two buildings were renamed the Zhongguancun Inno Way (ZIW). This 45,000-sqare-meter area was transformed in order to accommodate around 40 business incubators. "Zhongguancun is home to a number of prestigious universities and research institutes, so funds for scientific research are abundant. The area is therefore a source of both technology and talent," Nie Lixia, Executive Director of Zhongguancun Inno Way Ltd., the company in charge of ZIW, told Beijing Review. To survive and grow, innovative technologies have to be accepted and recognized by the market, she added. However, not every innovative technology or product can succeed. "You need a set of environmental and innovation factors, which is very important," she said. With this in mind, ZIW set itself a mission to foster "innovation ecology," said Nie. Several factors must be brought together for technology to become a product. For example, to create a startup, a team first needs to find an office, to seek funding, and even to receive training in entrepreneurship. "Zhongguancun brings all these factors together. In addition, the government provides subsidies where capital or services are needed for innovation. The innovation cost for startups is therefore relatively low," she said. Kutu Tech Service is one of the startups that moved into Kr Space, one of ZIW's incubators, in September 2017. For this young company, "moving in" meant renting a 12-square-meter office with five tables. 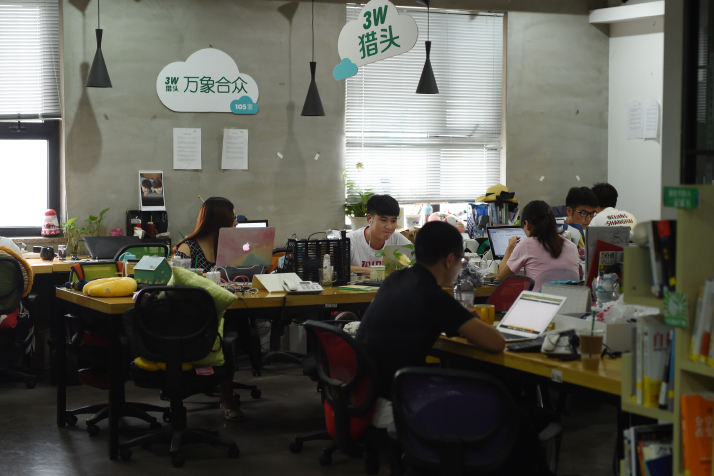 The startup pays 11,000 yuan ($1,753) every month, or $4.8 per day for every square meter of office space. This is more expensive than a normal office building where the price for a square meter is close to $1.3 per day. "Nevertheless, I prefer to rent here. Kr Space offers an area of almost 300 square meters for different companies to share. The relatively high price also includes water, electricity, heating, Internet and printing services, and even coffee and tea. Of course, as we grow, we will have to find a place of our own," Pan Gaofeng, Chief Executive Officer of Kutu Tech Service, told Beijing Review. Kr Space also offers support on taxes and finance, in addition to organizing training sessions and conferences. For Pan and several other entrepreneurs, the attention given by the Chinese Government to startups played a key role in their decision to start a business. In May 2015, Premier Li Keqiang visited several startups in ZIW. In recent years, Li's annual government work reports have reaffirmed the government's commitment to encouraging innovation and entrepreneurship. Since it opened, ZIW has provided services to more than 10,000 aspiring entrepreneurs. So far, more than 1,900 startups have been incubated, of which 222 were headed by foreigners or returned overseas Chinese. This equates to an average of 1.7 projects incubated every day. A total of 743 startups received funding amounting to 9.1 billion yuan ($1.5 billion). In October 2015, the local government announced that Zhongguancun would complete its transformation by 2020, after which all traditional wholesale activities will be replaced by innovation-based firms. By then, the Chinese version of Silicon Valley will considerably improve its innovation and business environment. Throughout this process, ZIW will set the trend for others to follow. Whether Chinese or international, the incubator is constantly looking for the latest state of the art technologies to help foster innovation. So far, ZIW has cooperated with 50 incubators in 30 countries. "On the one hand, ZIW is building a platform to bring the best foreign technologies to China; on the other, we help Chinese technologies to go abroad," said Nie. On December 8, 2017, a strategic cooperation agreement was concluded between ZIW and Paris Region Enterprises (PRE) in France with a view to deepening their relationship in the fields of innovation and entrepreneurship. As part of this agreement, ZIW will provide information and services to French companies who intend to expand their activities to China. PRE will return the favor by helping Chinese companies or entrepreneurs interested in the European market. "Innovation knows no boundaries, which is a big challenge for us. The teams we serve are constantly innovating and developing, so we must continue to innovate and develop ourselves. In the future, our ability to offer services and build teams will be very important to follow this sector's development," Nie said.